Kitty from Southbourne has two very rare genetic disorders Kabuki Syndrome and Ehlers Danlos Syndrome which has severely impeded her development. When we first met her she was unable to walk. We supplied a Wheelchair ramp, a Posterior Walker and a Light Weight Custom Wheelchair to aid her mobility, plus computer equipment as she cannot hold a pen and needs to keep up with her schoolwork. This equipment has really improved the quality of her life, she is able to walk for short distances, but still needs the chair as she tires easily. This has given her a lot more freedom and independence. She was seen in her walker leading the Conga around her playground and is now able to participate in sports day with all the other children. 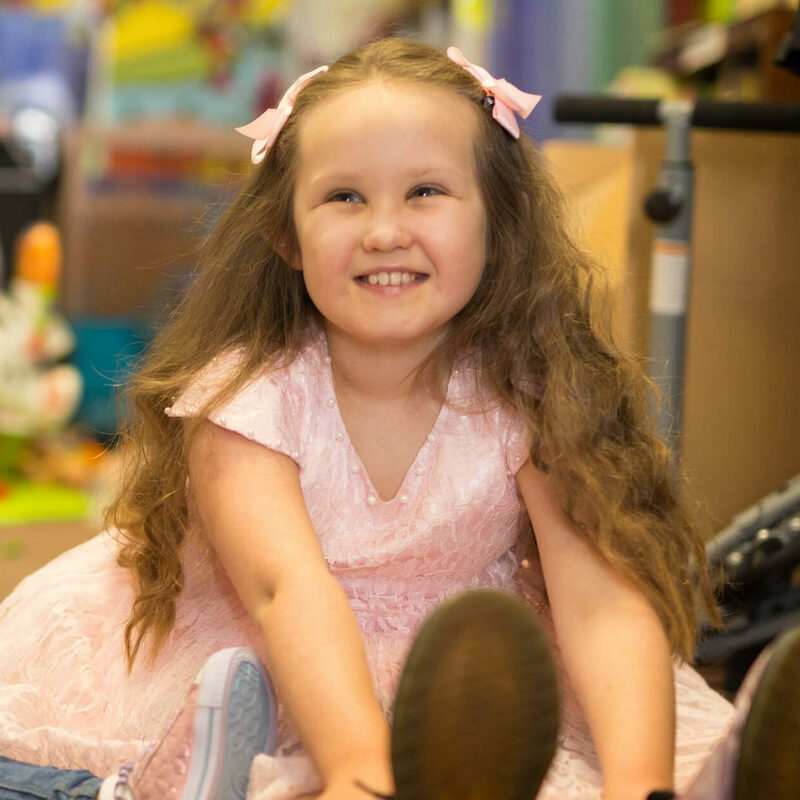 Kitty from Southbourne has two very rare genetic disorders Kabuki Syndrome and Ehlers Danlos Syndrome which has severely impeded her development. When we first met her she was unable to walk. We supplied a Wheelchair ramp, a Posterior Walker and a Light Weight Custom Wheelchair to aid her mobility, plus computer equipment as she cannot hold a pen and needs to keep up with her schoolwork. This equipment has really improved the quality of her life, she is able to walk for short distances, but still needs the chair as she tires easily. This has given her a lot more freedom and independence. She was seen in her walker leading the Conga around her playground and is now able to participate in sports day with all the other children.